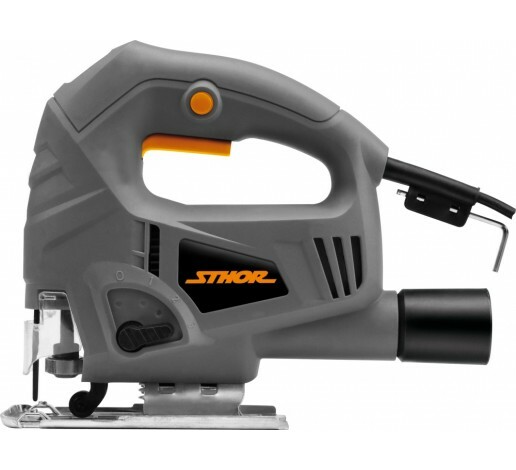 570w jigsaw, perfect for cutting wood panels up to 65 mm thick. Light and compact, it guarantees the control and precision necessary for cutting details. With adjustable speed and three blade angles. It can cut a bevel of up to 45º. Includes blade, cutting guide and vacuum cleaner adapter. *Tecrostar recommends cutting the floor panels with a circular saw and using a jigsaw for cutting details in wood. 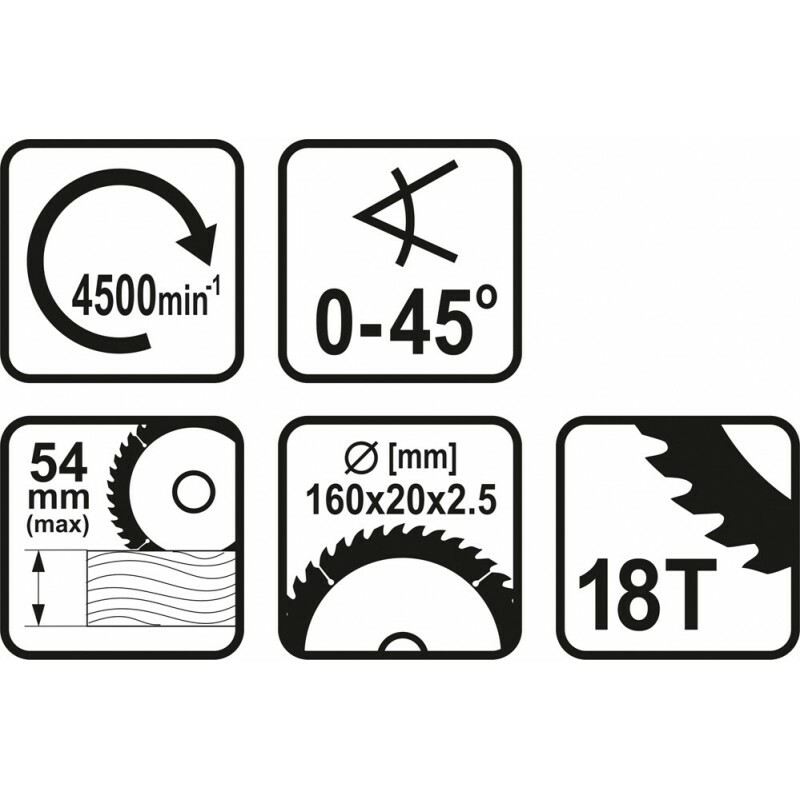 Jigsaw suitable for cutting arbitrary curves precisely and in different materials. It has several saw blades for cutting different types of material and for different types of finish. Light and compact, this tool guarantees the manoeuvrability required. It has the power necessary for cutting details and in areas that are difficult to access, adjustable speed and three cutting angles. Perfect for assembling the wooden end pieces of Tecrostar products. 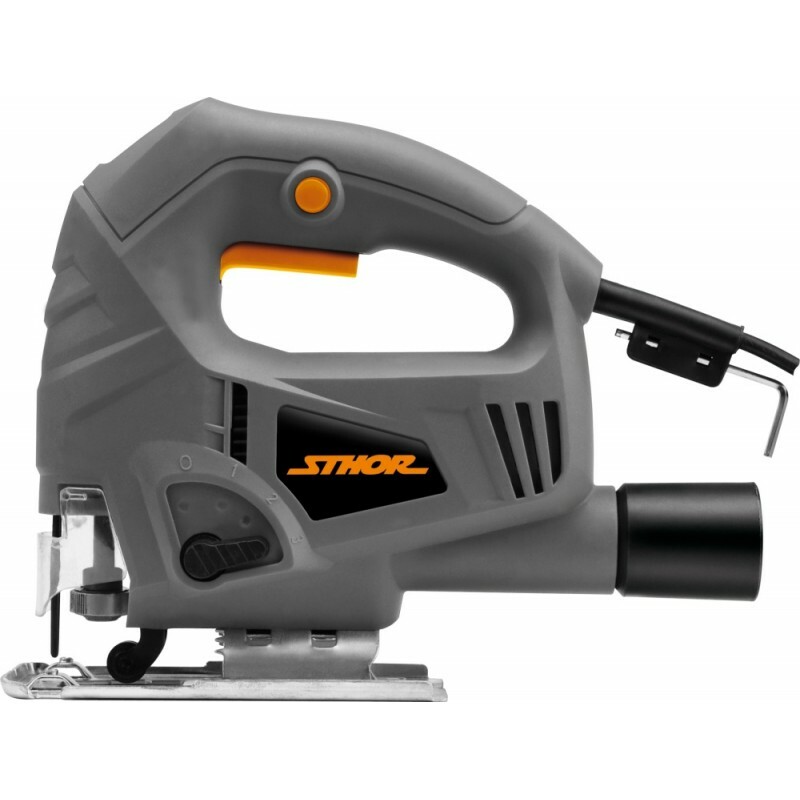 Equipped with a saw, cutting guide, vacuum cleaner adapter and blade, this saw has an electric motor capable of cutting at angles of up to 45 degrees. In addition, it has a system that protects against dust or sawdust generated when sawing, which makes it easy to use for any inexpert user.